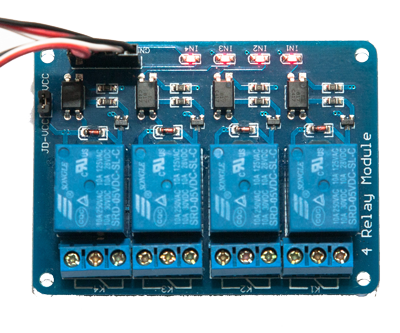 Four way relay board (10 Amp). 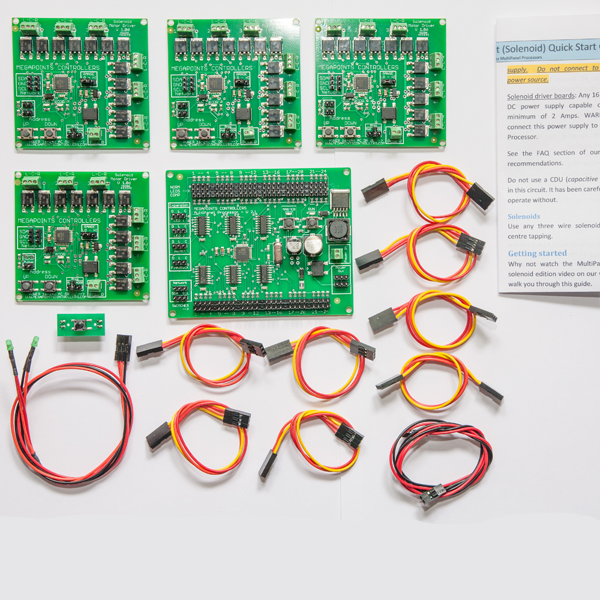 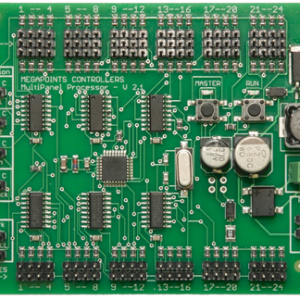 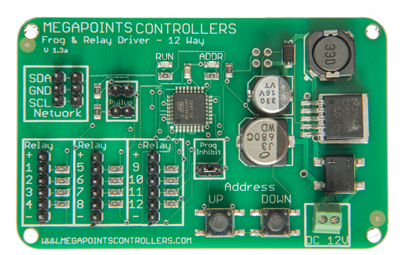 This board contains four 10 Amp relays and is controlled via our Relay / Frog Driver Module. 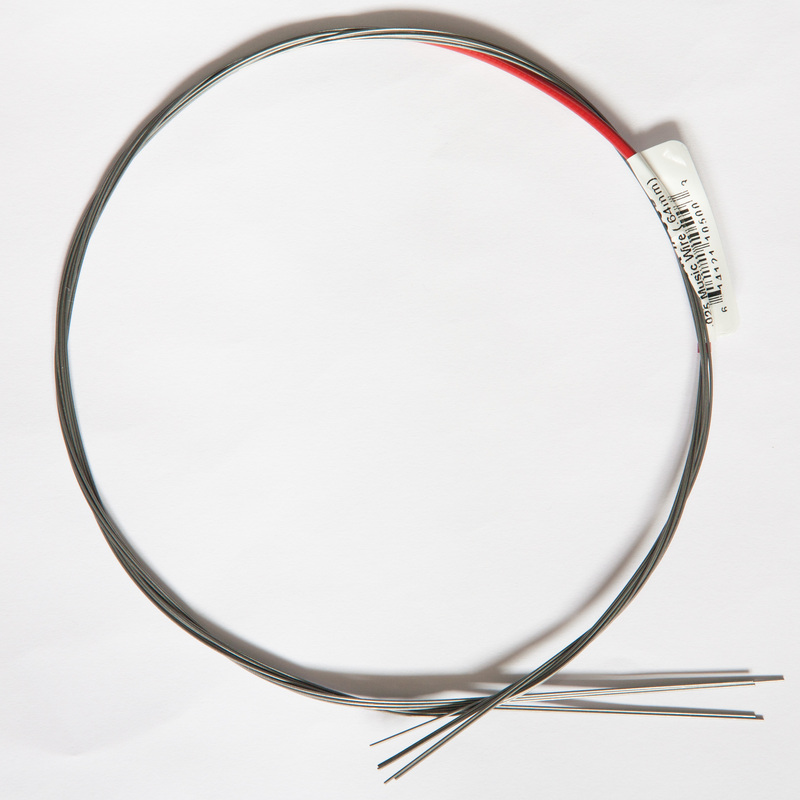 Comes with connector cable.